Scrap Escape: Flying Unicorns - Escape Kitty -How Does Hope Start? Flying Unicorns - Escape Kitty -How Does Hope Start? How does hope start? This is Escape Kitty trying to shake the cold dark winter and move into the warmth of the spring sunshine. She's trying to find even the smallest patch of sunshine in the house to nap. You should see it - the patch of sunshine is big enough to fit her head. It's quite a sight - but it's a hopeful sight and a great start. Hope usually starts with a tiny bit of light. What is your tiny bit of light? Make your tiny bit of light grow by believing. 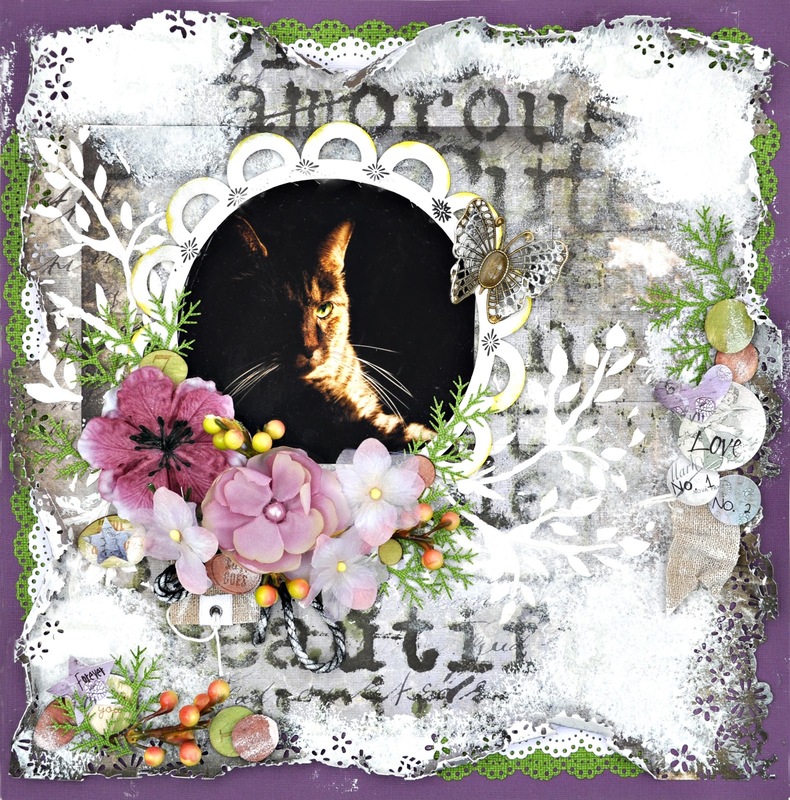 This was created using the Flying Unicorn kit for April. The kit spotlights 7Dots Cold Country Collection. Cold Country yes....bitter cold, NO! Bring on the pretty 7Dots and chase away the snow and drab from winter. 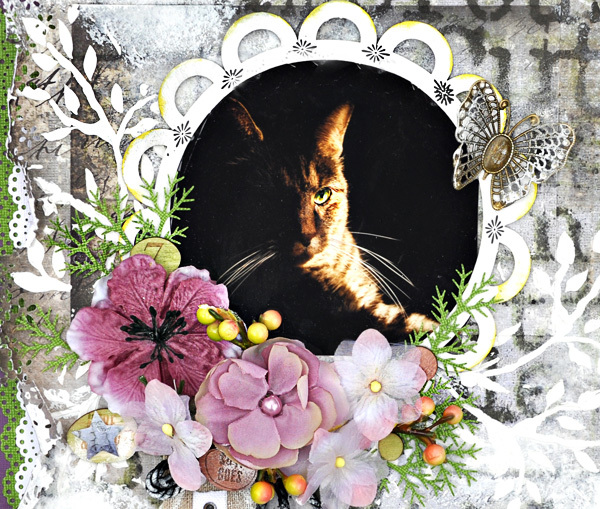 Here is a piece from Escape Kitty. Tis the season when she really wants to get outside. The darkness and cold of winter is leaving and the sun is staring to shine and warm up. As you can see, Kitty is in transition, looking toward the sunshine and just waiting for the season to turn. She'll spring into action then - guarding the door, waiting for an opportunity to sneak out and chase some butterflies or birds. 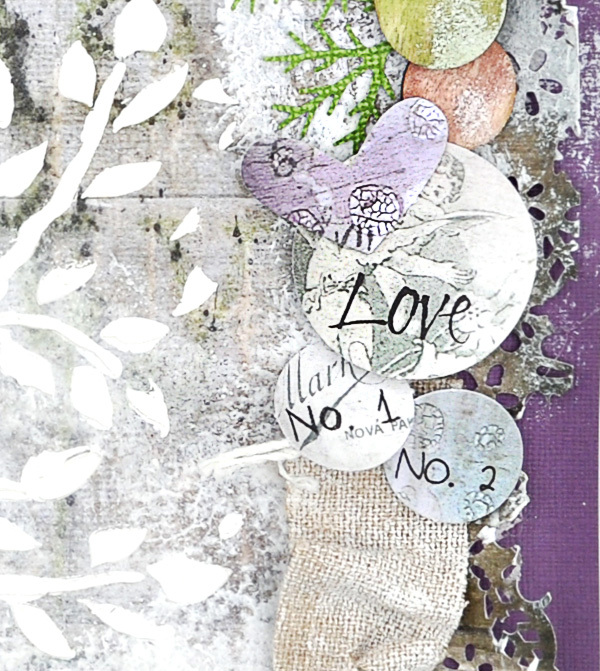 These are cute diecuts from 7Dots mixed with wood pieces from American Crafts -Studio Calico. 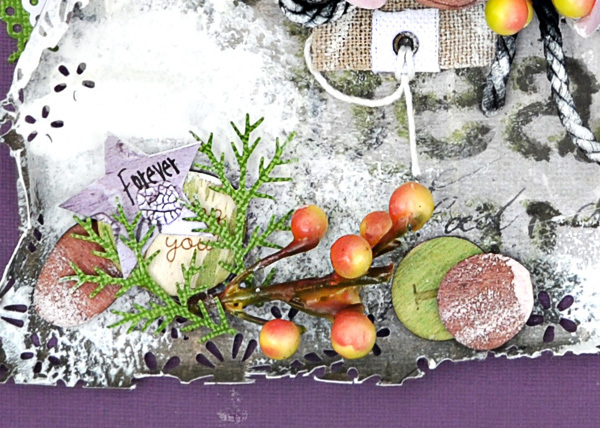 The kit also has a wonderful mask with leafy branches by Joggles. I used for the background. 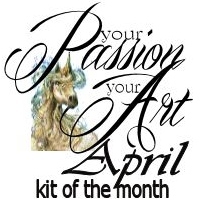 Flying Unicorns Kit of the Month, April 2014 Your Passion Your Art kit , is available now on a limited basis. Don't be left empty handed.